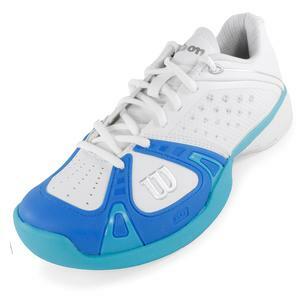 Wilson Junior Stroke Tennis Shoes in White and Pearl Blue! 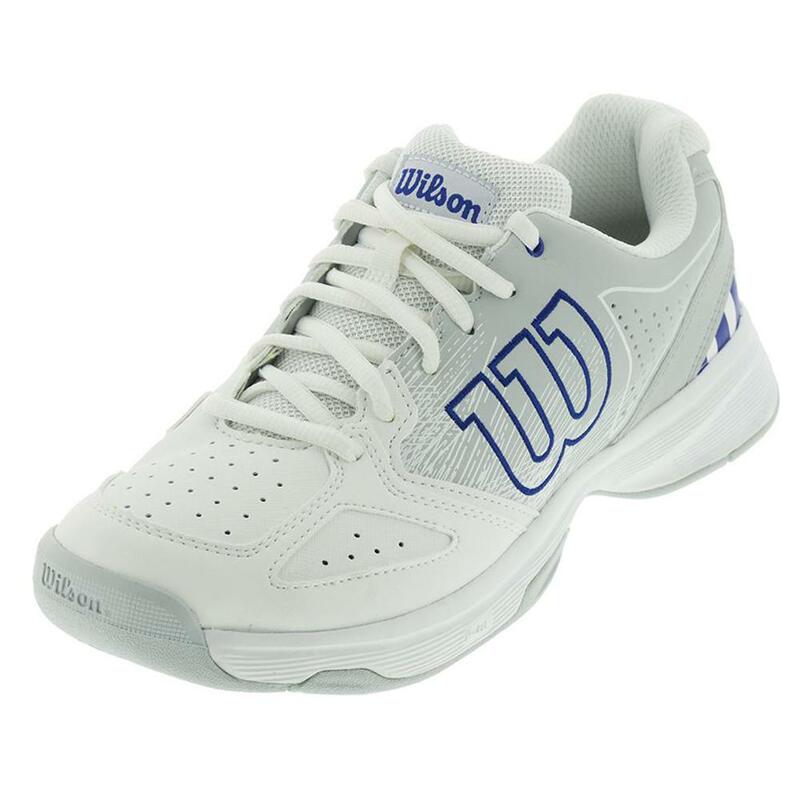 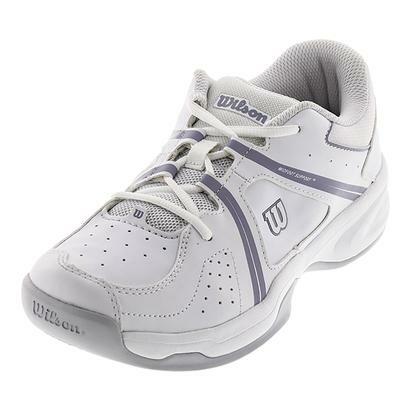 They'll get ready to swing in the Wilson Junior Stroke Tennis Shoes in White and Pearl Blue! 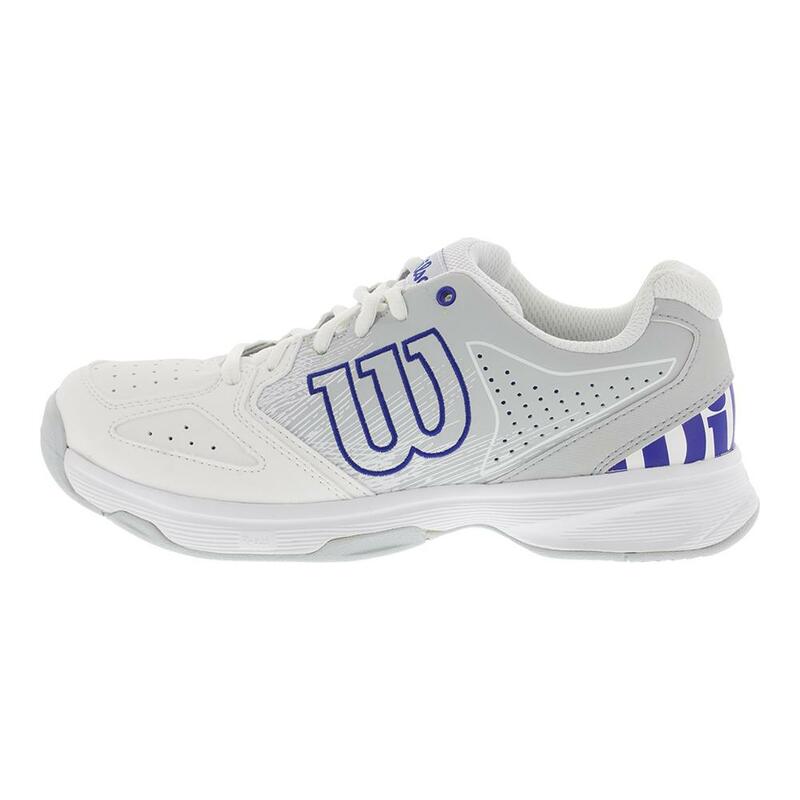 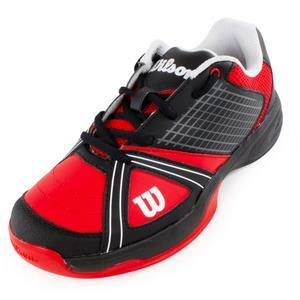 These shoes are crafted to provide awesome acceleration, state of the art stability, ridiculous fit, and mad traction on court. 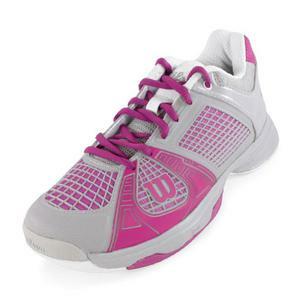 These shoes are designed with a perforated upper at the toe-box and sides. 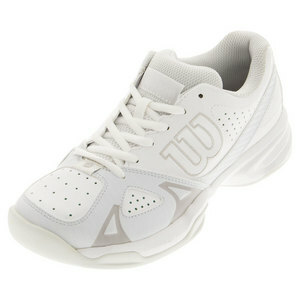 This almost all white sneaker has light gray, sketch-like graphics on the side for a new and subtle cosmetic this season. 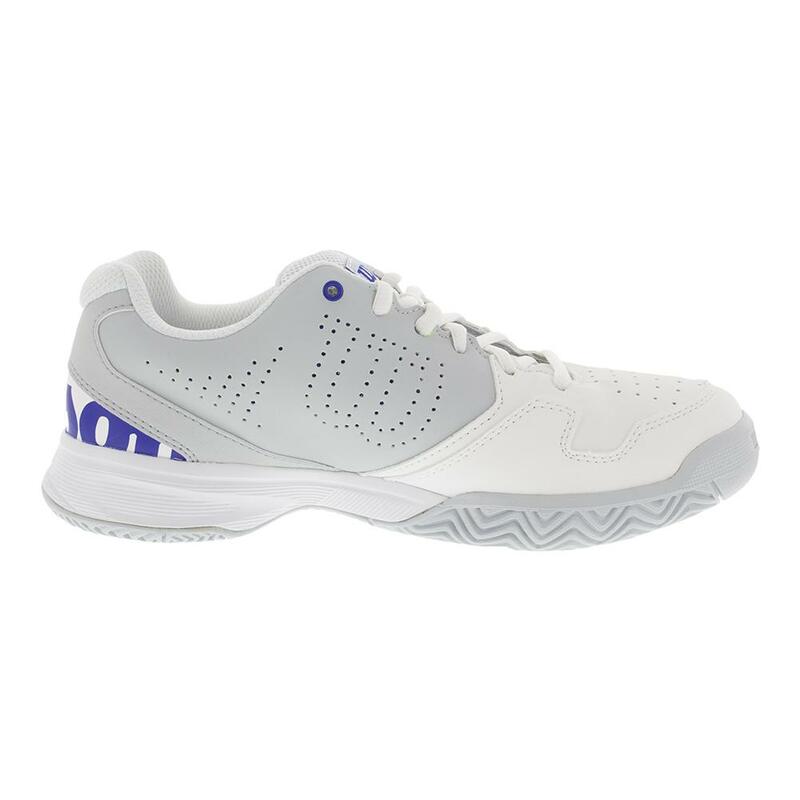 With the new Pro Torque Chassis (PTC), arch support is at an all time high to provide torsion control and stability for enhanced on court acceleration. 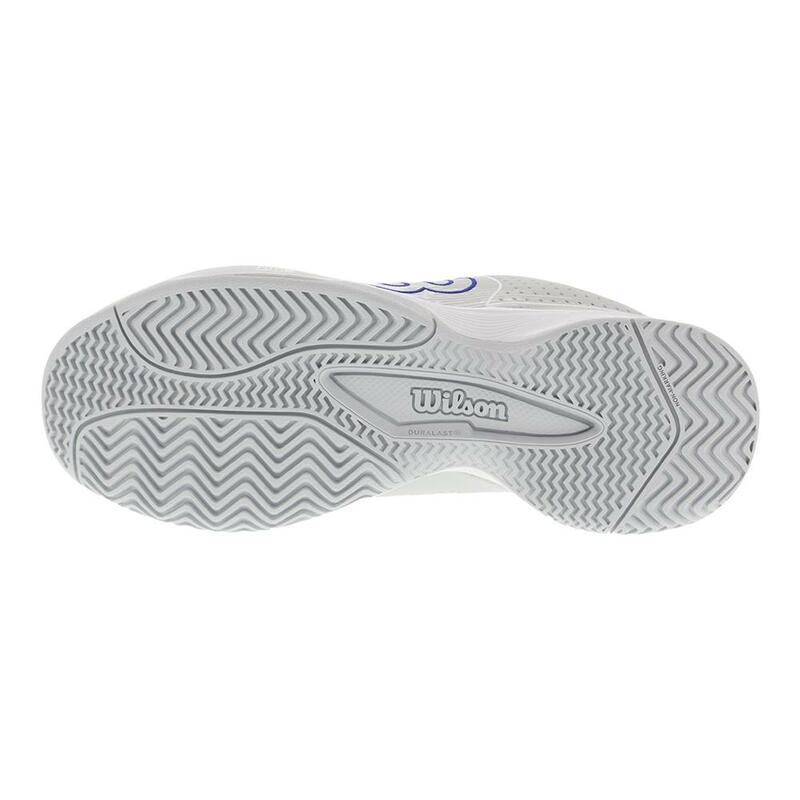 This shoe comes with a gray outsole. 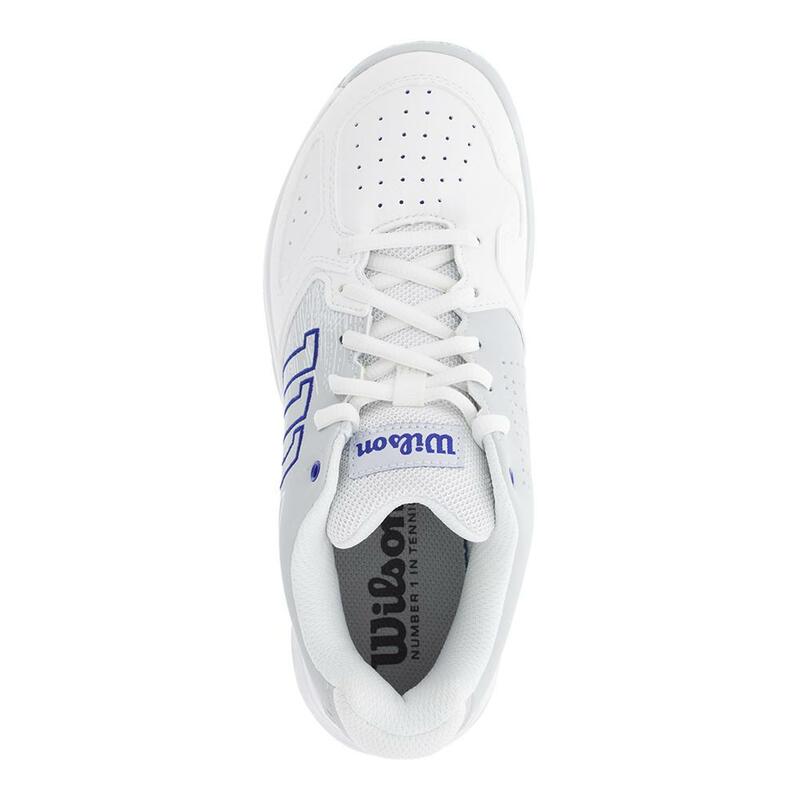 See all the latest releases in sneakers before anyone else in our blog post, "New Year, New Shoe."